The advanced modern dance intensive is your opportunity to work with experienced instructors from the professional dance world. Class sizes are limited, so you'll receive personalized instruction as you work to expand your modern dance technique. During your week here, you will be challenged and inspired. 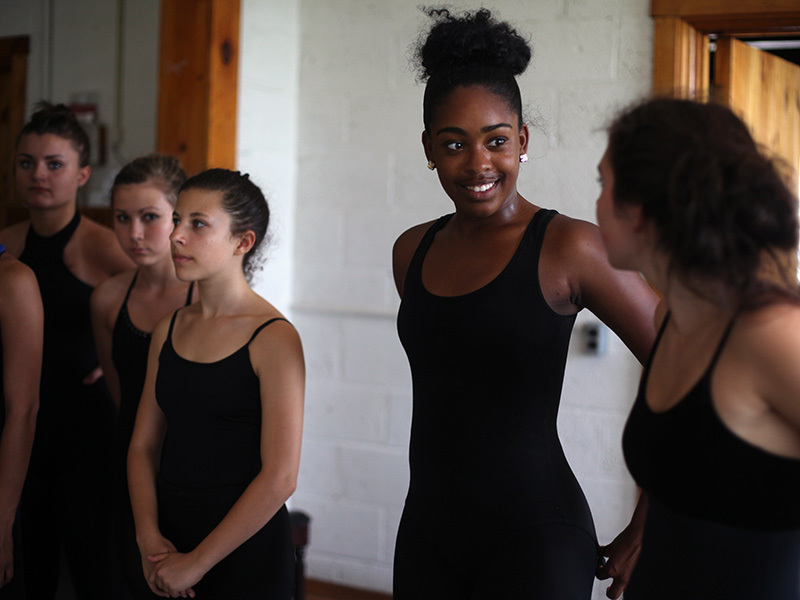 The thoughtful curriculum integrates contemporary skills, ballet technique, repertory, choreography and body conditioning. You'll also garner practical knowledge to further your dance career, as we cover topics such as health, audition preparation, and career and higher education options. Students must have had four years of consistent modern-ballet training. PDF file: A list of training experiences. Please include subject (modern, ballet, jazz, composition, other), dates, names and locations of schools and names of teachers. A video audition, if not attending a live regional audition. Video file #1: Two-minute ballet barre including pliés, tendus, dégagés, ronde de jambes, adage and grand battement; show knowledge of ballet technique. Video file #2: A three-minute modern dance warm-up that includes basic vocabulary; the warm-up should give a sense of the applicant's placement, line, body awareness, flexibility and control. Students may also apply to attend our three-week high school modern dance summer programs. Interlochen is also home to the Arts Academy boarding high school, which offers a dance major for grades 9-12, as well as a post-graduate year.